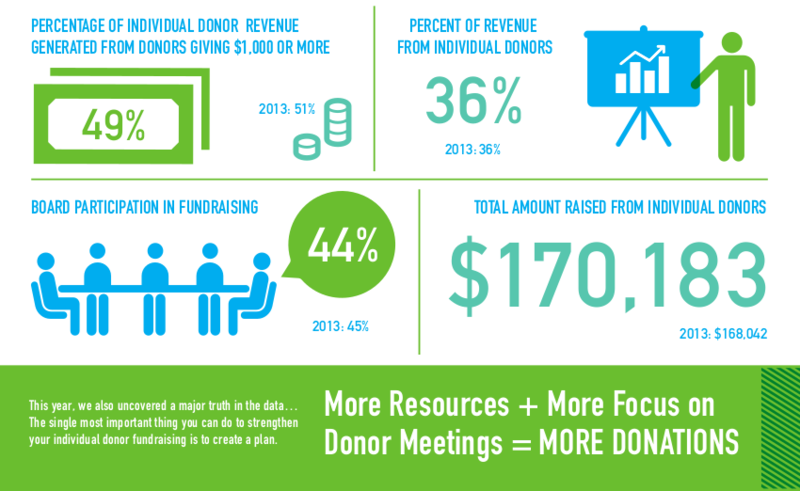 Where does your individual donor fundraising stand? If you're like most leaders of small nonprofits, you want to know where your fundraising stands as compared to other organizations your size. CiviCRM stores a wealth of data, but it might be time-consuming to search for it all. Even then, how will you know you're comparing data apples-to-apples with the rest of the sector? This is where the Individual Donor Benchmark Survey comes in. By asking standard questions of small nonprofits across the United States, the survey allows you to see how your organization stacks up against nationwide benchmarks, and you can compare your own results in subsequent years. AGH Strategies is a sponsor of the project, and we produced a CiviCRM extension that calculates your fundraising data and presents it question-by-question for entering it into the survey. There are additional questions about your expenses, supporters, staff, and organizational background, but much of the survey is automatically done for you. We started collaborating with them on the 2014 survey, and organizations who used it reported that they learned a lot by taking a summary view of their information. A couple of them even ran the report after the survey deadline had passed: they just valued the opportunity to see their results.